Vada pav or as I call it our very own Indian burger is a popular street food hailing from maharashtrian cuisine. 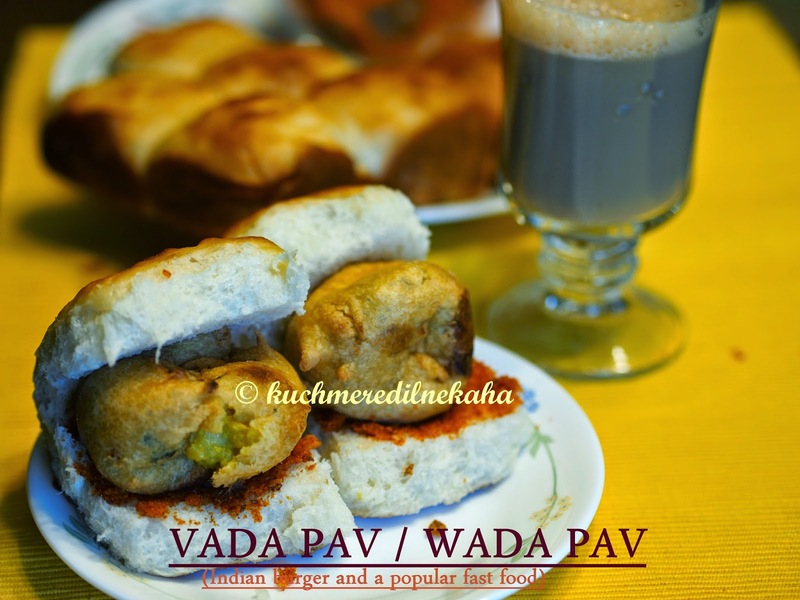 "Vada" refers to potato patties deep fried in chickpea batter and "Pav" or "pao" refers to soft indian bread rolls. Pav is sliced horizontally (but not all the way through). Then, a choice of chutney (green chutney, tamarind chutney or spicy garlic chutney) is spread in the middle and then lastly, Pav is stuffed with the deep fried vadas. 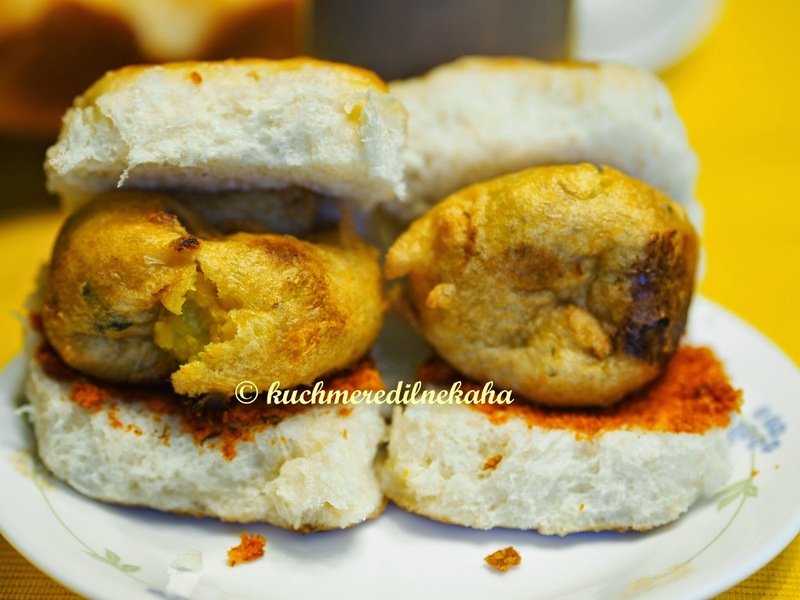 Though it started as a street food , it is now being served in many popular restaurants because of its popularity. Slice the pav in the center (not all the way through). Place the hot batata vada in the center. 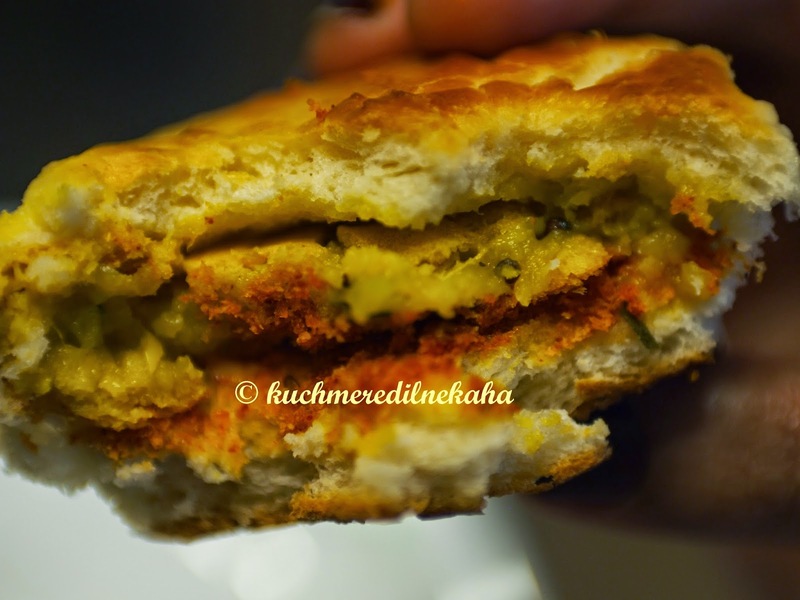 My family loves the vada pavs with spicy garlic chutney. 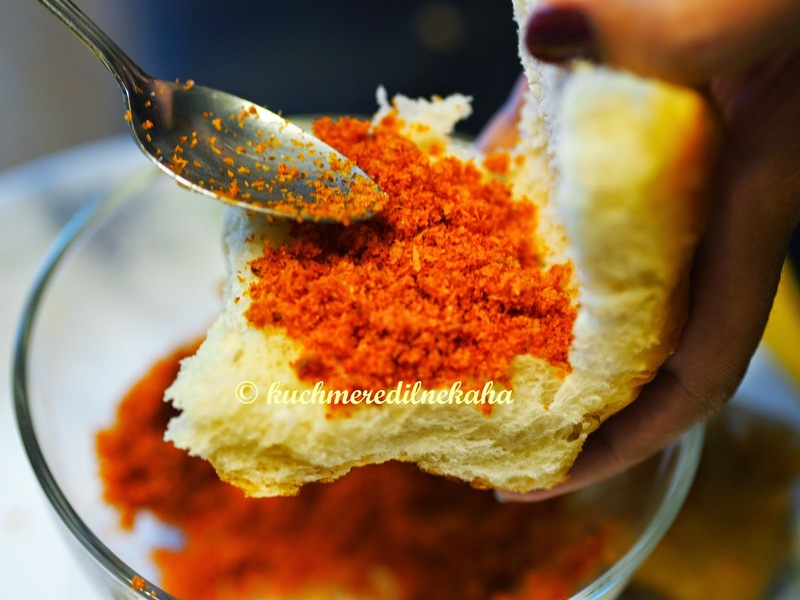 As an alternative , you can use green chutney and tamarind chutney combo too. Tastes equally good. love these anytime ..So yummy ..